Within RaveBuild’s Client and Site/Build tabs, is the ability to export your information into CSV files with customised selections. 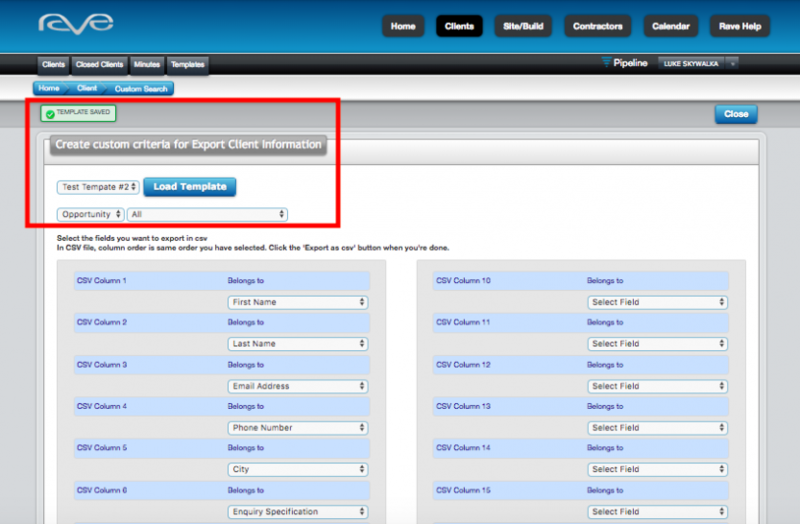 Now, RAVE users can easily save their report criteria as a template for future export. This means that you only have to enter the combination of search fields that you wish to export once, as they can all be retrieved in future via the load template feature. For a step-by-step breakdown of how to use this new RAVE feature, continue reading below. From your RaveBuild dashboard, simply select the Clients tab, then filter your clients by “Custom”. 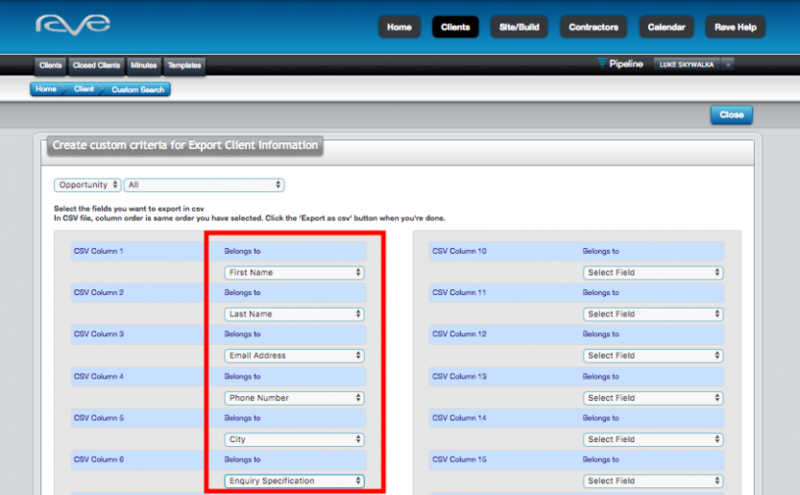 Set your custom export criteria, on the next page, choosing from the dropdown fields provided. Once you are happy with your search criteria, give your template a name and click “Save Template”. Your saved template is now available for future use – just select the right template and click “Load template”. 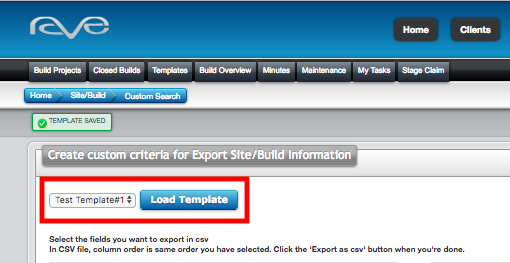 To continue with your export now, click “Export as csv”. 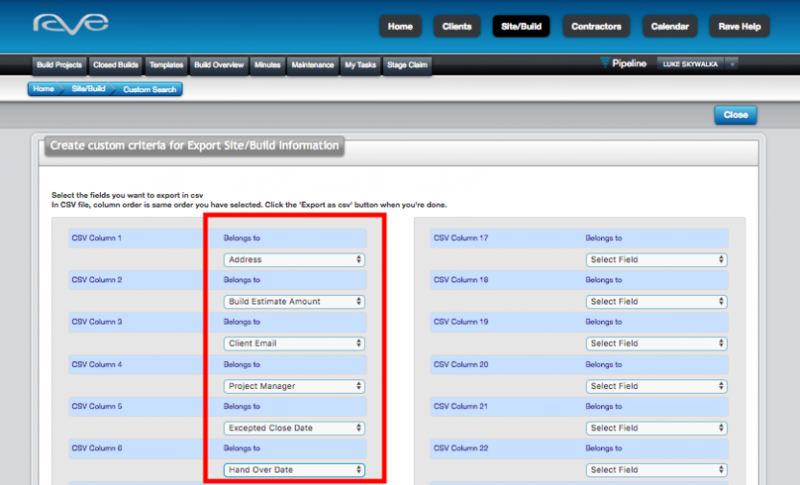 From your RaveBuild dashboard, simply select the Site/Build tab, then “Custom Export”. Like previously for the Clients tab, set your custom export criteria, on the next page, choosing from the dropdown fields provided. Once again, when you are happy with your search criteria, give your template a name and click “Save Template”. Template names can be edited and/or templates deleted from the templates section of either the Clients or Site/Build tabs. This feature allows for organisation within the template list, for even quicker processing when completing custom exports. Users can now save their custom export selection under the Clients and Site/Build Tabs as a template. New tab “Templates” is now displayed under Clients, where all the saved templates can be viewed. Before exporting as CSV, custom criteria can be saved as a template. Templates can be loaded from the list of saved templates. Users can edit or delete the Saved template name from Clients –> templates, Site/Build –> Templates. Now in RaveBuild, some actions are recorded in more detail. For example when details are updated on a task, it is recorded as specifically what has been updated on a task in the schedule. When a template is loaded – Audit trail records the name of the template that’s been loaded. When a milestone is edited – Records the name of the milestone that’s been changed. When a new task is added – Records every single field that’s been modified while adding a task. When a task is edited – Records start date change on task page, every detail updated on edit task page and records every update made on “Comments and photos” page. Sales people can now access a custom sales report. They can only view their own sales in this report. Navigation from “Sales overview” page to “Sales Reports” Bug Fix. If you are someone who wants to succeed in the area of business, then your environment – the key people around you, will have the biggest influence. To put it really simply, there are three top things you will need from your key people that will help you succeed in your business. The key people that you have around you is completely your choice. You can choose at any time. It may take some work to make the choice, but it is your choice. This is someone you can talk to about the everyday issues in your business, who will help you find solutions from an outside perspective. This means you won’t get stuck on the same problems or procrastinate when you’re not sure what to do. 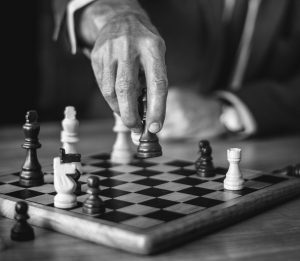 This is someone who knows what it takes to run a successful business and will take the time to teach you the strategies, tools, and systems as well as show you how to use them. As a RaveBuild user, you have invested your time to learn how it works and how to get the most out of it. Now that you’ve done that, I’m sure you’re stoked that you have. This is someone who will make sure you know what action you need to take and will follow up to make sure you do it. The goals need to be based around the things you need to invest in to create the future business you desire, not just the day to day tasks of running your business. Do you already have people like this in your life who provide you with these three essential things? If you do you’re very fortunate. If you don’t, then you’ll need to choose whether you’ll settle for business as it is, or lift your game and create the kind of business you do want. What level are you playing at? Are you an amateur or a professional? Now you have a choice. Do you have the people in your life to give you the objective eyes, the business learning, and the accountability to move you forward already, or will you need to invest time, energy and maybe even money to get those kind of people around you? Are you willing to take the steps to get the people around you that you want? In my construction business, over several years I spent over $50,000 on paying to spend time with the right people who gave me the objective eyes, business learning and accountability to achieve my goals. 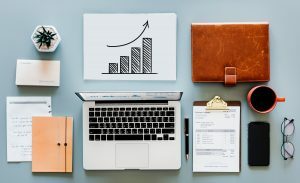 It seemed like a lot to invest at the time, but the increased income and the increased value of the business over time gave me a return of over four times the money I invested. You know what, the increased income was one of the least important outcomes. Most importantly, it gave me more confidence, more time with the family and more opportunities to spend my time doing the things I enjoyed the most. If you’re looking for more time, money, and freedom to do the things you love, take the steps required to get the right people in your life. If you’d like to hear how Isaac achieved these kinds of results in his construction business or have him do a free assessment and plan with you, then get in touch using the details above and he’ll show you how.